Pump Pallet Fork Lift Truck Training in Ellesmere Port, Cheshire. 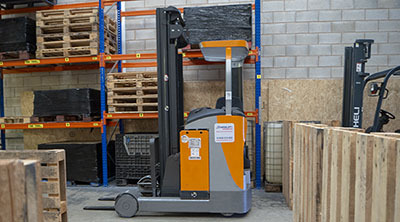 Our Pump Pallet Truck Training courses in Ellesmere Port are available for men and women over the age of 17 whether they have a driving licence or not. 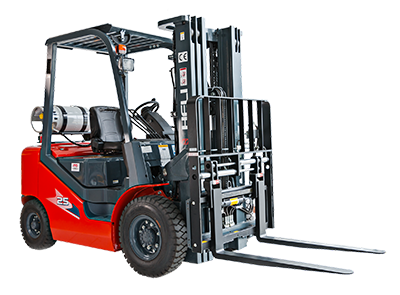 We are a Category 2 ITSSAR accredited mechanical handling equipment (fork lift truck) test centre find out more at the Lantra and ITSSAR websites. All our training is accredited under the national Trained Operator Passport Scheme (TOPS). We offer 5-day novice course, 3-day intermedate course, 1-1½ conversion courses and 1-day refresher course for experienced operators looking to renew their licence. We offer training to employees in the public sector and commercial businesses, individuals and people on Government schemes. Please contact us for more information on the courses which are held at our Training Centre in Ellesmere Port or the client’s premises. You will learn how to drive and control an Pump Pallet Truck to enable you to gain your basic Pump Pallet Truck License. This licence will enable you to drive an Pump Pallet Truck (PPT) for an employer and is valid for 3 years after which time you will need to undertake a One day ‘Refresher’ course. Once you have gained the Pump Pallet Truck (PPT) Licence we also offer a ‘Conversion’ course to enable you to drive a ‘Reach’ truck, this will widen your options with employers who sometimes require a driver to be able to drive both types of truck. Another option we can offer is a course to enable you to operate a ‘Scissor Lift’ – as it is now becoming illegal to use ladders to climb to heights, a licence to operate a ‘scissor lift’ will become a necessary qualification to work in factory maintenance departments and may open up employment opportunities in other areas. Pump Pallet Truck: Call for details on how to obtain your Pump Pallet Truck Certificate. Counter Balance FLT Courses, Basic FLT Training: are a 3 day course delivered on 3 consecutive days with a maximum of 3 persons per course. – One day refresher FLT Training: a 1 day course delivered with a maximum of 3 people per course. Reach Conversion Courses: This is a 1 – 1½ day course delivered on consecutive days with a maximum of 3 persons per course. Scissor Lift Courses: This is a 1 – 1½ day course delivered on consecutive days with a maximum of 3 persons per course.